Over the years, Chevy has developed a tradition. It started when the first customer talked to one of the first Chevy dealers, and it continues today. This tradition is Chevy’s commitment to consumer needs, and it has resulted in the brand becoming one of the biggest names in the automotive industry. This big name is accompanied by a big reputation, and Chevy has become one of the most awarded car companies throughout the years. No doubt, this is thanks to their masterful grasp of making high-quality vehicles. But, also understanding that without listening to what the consumer wants, their vehicles wouldn’t be as well-loved as they are today. A car company with a prestigious reputation like this needs a dealership with the same type of ideology, and we at DePaula Chevy are that dealership. On our lot, we have a wide selection of those high-quality new and used vehicles Chevy is known for building. Furthermore, we couldn’t agree more with Chevy’s commitment to consumer needs, and routinely work hard to ensure that you are satisfied from the moment you walk in the door, to the moment you leave. Which is why at DePaula, we put your needs first and the price-tag last. With all of their vehicles, Chevy has made it a point to take what the consumer wants and needs, and either implement or improve upon those areas. Vehicles like the fan-favorite Chevy Silverado and the increasingly popular Chevy Cruze are perfect examples of that commitment to customer satisfaction. The Cruze originally gained fame because of the quality compared to its price. The compact car is still one of the most affordable vehicles on the market, with a starting MSRP of $16,620, but the same well-loved features are all there – only better, consistently enhanced, with improvements reflective of technological advances and consumer demands. Chevy made sure to improve on what the consumers liked most about the Cruze, such as the technology and fuel-efficiency. 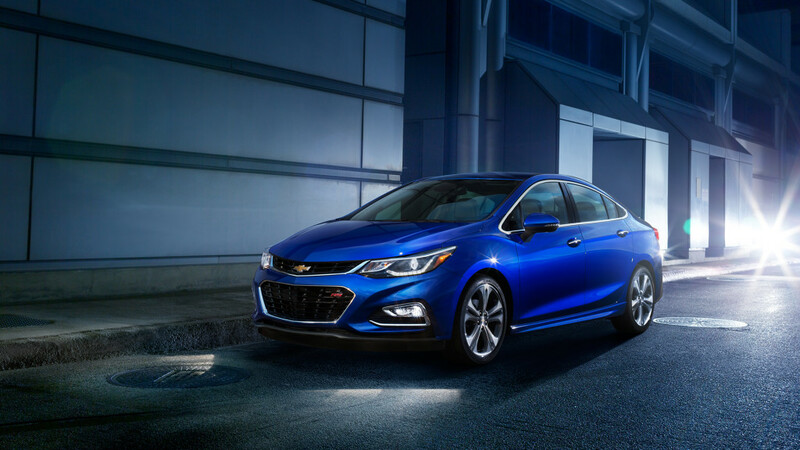 The EPA estimated fuel rating of the Cruze is now sitting at 30 mpg city, 42 mpg highway, and 35 mpg combined when equipped with the upgraded 1.4-liter turbo engine. Furthermore, the Cruze is also the first car in it’s class to offer built-in 4G LTE WiFi, and is running other state-of-the-art technology features like a push-to-start button, wireless charging, lane keep assist, and much more. Overall, what Chevy was able to accomplish was to uncover what consumers wanted most from a compact car — a spirited, fuel-efficient, and “tight” driving feel — and then keep improving it. Improving these features, and even more, is why it’s anticipated to sell so well again in 2016. The Silverado is one of the most iconic trucks ever made. It has been praised numerous times for its durability, ruggedness, and dependability. Which is why Chevy made sure this tried and true vehicle held-on tightly to its roots. Unlike some of the other trucks out there, Chevy knows the benefits of having a truck comprised of primarily all steel. It’s simple, easy to fix, and consumers know what to expect from it. This idea of familiarity is why Chevy kept a high-strength steel frame in the Silverado, as opposed to switching over to lighter weight aluminum materials. Also, Chevy recognizes the Silverado as the pride and joy of their vehicle lineup. So, Chevy’s designers made sure the Silverado features a class-leading V8 towing of 12,000 pounds, and the best-in-class V8 performance with 420 horsepower. With these improvements, Chevy is ensuring that as time goes on, the reliable performance you know and love about the Silverado remains timeless and trusted. 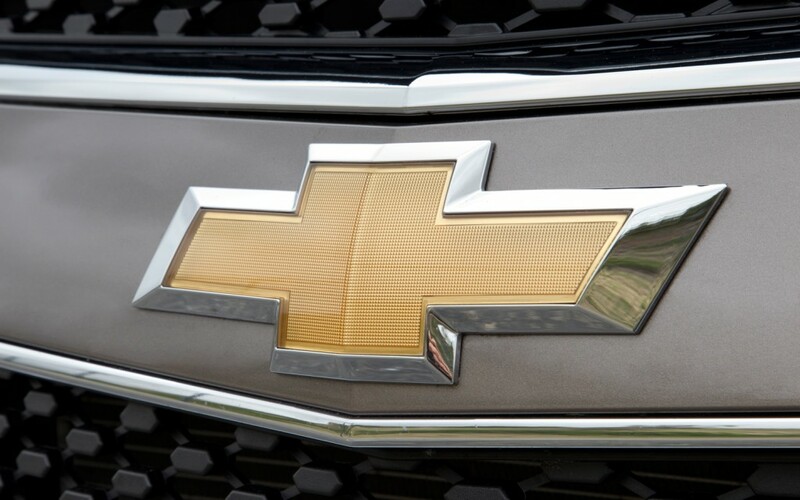 Over the years, Chevy has been celebrated as one of the most awarded car companies. Between the Silverado, the Impala, or the high-performance legacy of the Corvette, Chevy’s vehicles have continued to win awards time and time again. In recent years, the awards are exceptionally notable. The Colorado won the Motor Trend Truck of the Year Award back-to-back in 2015 and 2016, primarily for its design, performance, towing capabilities, and fuel efficiency. What Motor Trend liked most about this vehicle was the fact that it was a mid-size truck, but still handled exceptionally well. This is a true testament to the quality of Chevy vehicles, and the fact it received a diesel engine in 2016 to improve performance shows their dedication to ensuring the consumer gets the most cutting-edge performance possible. Kelley Blue Book awarded the Impala, Corvette, Volt, and Tahoe with the 2015 Best Buy Awards for their respective segments. This award recognizes the high-value of these cars by paying respect to their affordable prices. Keep in mind, the Corvette is a performance vehicle – not the kind of vehicle typically celebrated by a publication focused on value and bang for your buck. This means Chevy provided top-notch performance to the consumer for an affordable price; surely a rare occurrence in the sports car segment. In 2014, Edmunds recognized seven of Chevy’s models for their awards as consumer favorites. The Corvette Stingray and Traverse were among Edmunds Top Rated Vehicles, and the Camaro, Colorado, Stingray, Impala, Silverado 1500, Tahoe, and Traverse were all among the top three 2014 Most Popular on Edmunds.com — for their respective segments, of course. Other prominent awards that Chevrolet vehicles have won collectively in recent years are Yahoo: Car of the Year, 2014 North American Car of the Year, numerous NHTSA 5-Star Safety Ratings, Vincentric Best Value in America 2014, Vincentric Lowest Cost to Own in America 2014, North American Truck of the Year, and many more. These vehicles are a direct representation of Chevy’s care and commitment when it comes to the demands and desires of its consumers. A car company that produces high-quality vehicles that routinely win coveted awards needs a high-quality dealership to sell them. We at DePaula Chevrolet were the #1 volume Chevy dealer in the Capital Region for 2015, which means in 2016, you are still bound to find many of the award winning vehicles mentioned above on our lot — thanks to our broad selection. Not only do we provide a plethora of Chevy’s awarded vehicles for sale, but we also share in the same ideology. For DePaula, the needs of the consumer always come first. We are so customer focused, that we have 24/7 customer availability, as well as numerous ways to contact us, such as via phone calls, e-mails, and online live chats. Furthermore, our professional and caring sales staff are there to make the car buying process as effortless as possible. Surely, one of the 2,597+ and counting great customer reviews will highlight the care displayed for our customers, and provide a testament to our consumer oriented attitude. All reasons why DePaula has simple, fast, and upfront pricing. We don’t believe in high-pressure sales tactics or gimmicks, and want to make sure that customers are treated with the respect they deserve.